MOGADISHU (Reuters) - Clashes between rival Islamist groups have killed at least 65 people and wounded more than 190 others in three days of battles in Somalia's capital, witnesses and hospital sources said on Sunday. 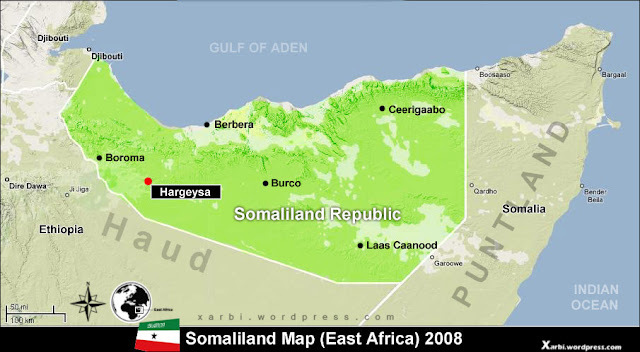 The Horn of Africa nation's interim government is struggling with a powerful insurgency in one of the world's most dangerous countries, where fighting since late 2006 has killed thousands and forced more than a million more from their homes. Hundreds of Islamists loyal to the government and opposition al Shabaab militiamen fought with heavy machine guns and mortars in northern Mogadishu over the weekend. "We killed an uncountable number of government fighters and moderate Islamists. 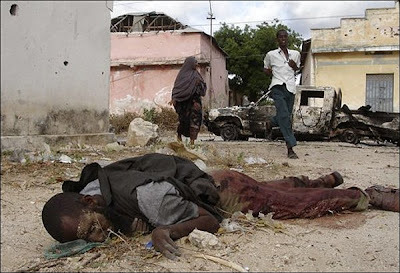 Their dead bodies lie in the streets," Sheikh Mohamed Ibrahim Bilal, a senior al Shabaab official, told Reuters. "Now north Mogadishu is under our control. We swept them from five key positions including Mogadishu football stadium." Residents and hospital sources said 50 people had been killed in the fighting and 181 others wounded. At least 15 other people were killed and ten injured when a mortar struck a local mosque on Sunday, witnesses said. "I can see 15 bodies of people killed after a mortar hit a mosque," witness Hassan Abdulle told Reuters by telephone. "They wanted to attend the afternoon prayers." A local elder told Reuters that foreign fighters were taking part in the clashes. "We see long-bearded Arabs everywhere," Osman Ali said. There was no independent confirmation of the presence of foreigners. Western security agencies have long feared that Somalia could become a haven for terrorists. The anarchic nation has been without effective central rule since 1991. Two local reporters were wounded after a mortar struck a news conference, witnesses said. International donors have pledged at least $213 million to help boost Somalia's security forces. President Sheikh Sharif Ahmed -- a former Islamist rebel -- is seen by many as the best hope in years for restoring stability. Heavily armed pirates from Somalia have captured dozens of merchant ships off the coast, taking hundreds of hostages and making off with millions of dollars in ransoms.